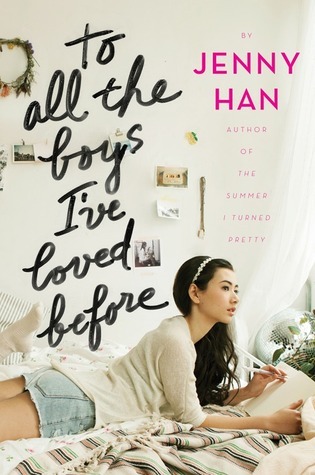 In the first instalment of a glorious young adult love story, Jenny Han’s To All the Boys I Loved Before takes readers on a romantic getaway full of bumps and twists along the way. After Lara Jean’s secret love letters are sent to all of her past unrequited love interests, she seeks the help of an old to friend to minimize the damage and get life back to normal. But when sparks come to life and other secrets from those close to her start to spill out as well, Lara Jean must uncover who she is and what she wants before more damage is done. A breathtaking story with both drama and humour, Han leaves readers with an overbearing desire to seek their own tremendous and magical love story. Netflix sent me a notification stating that the film adaptation of Han’s To All the Boys I’ve Loved Before will be available soon. There have been a number of people “going on” about this series, so if figured I’d give it a shot before the film adaptation is released. Interestingly enough, Han’s book was much better than I anticipated. The story didn’t go anywhere close to what I was expecting, but I actually appreciated that…I like fun surprises in literature. CONTENT & TRIGGER WARNING: This book contains moderate sexual themes, loss of a loved one, and bullying. Han has created a wondrous number of brilliant characters, carefully crafted with fun little perks and characteristics to make each individual unique. Out of all the characters, the Song family are by far my favourite; Han really captured the joys and frustrations among siblings. The banter between the Song sisters is incredibly comical…there were definitely out-loud snort laughs during my reading experience. Lara Jean’s best friend Chris is also a favourite of mine; she’s rough around the edges and rather blunt, but she still has Lara Jean’s back even with their differences. I’m a SUCKER for a book with memorable quotes – that probably has a lot to do with the poetry lover in me. Han really highlights some quotes to live by throughout this story, giving readers that “HOW HAVE I NEVER THOUGHT OF IT THAT WAY BEFORE” moment A LARGE NUMBER of times. It’s those epiphany moments that really brought this story to life for me. Funny enough, here’s a post regarding this. When reading To All the Boys I’ve Loved Before, I felt as though I was actually experiencing all the events through Lara Jean’s eyes (the main protagonist); it felt as though I was in the book myself and not simply reading the story through Lara Jean’s perspective. This is when I get lost in a book and it’s SUCH an exhilarating feeling, being swept away and not even realizing you finished the story until you’re reading the final page. I think this has a lot to do with the writing style reflecting Lara Jeans’ thoughts so well, in addition to the contents of the novel just having so many of those “I’ve experienced that before” moments. Those awkward stages of learning love, familial love and struggles, learning what it means to be “me”, peer pressure, school pressure…Han’s book covers a wide array of topics. Love triangle = not bad! For those of you who aren’t new here, you know my LOATHE for love triangles…they are almost as bad as instalove in my personal opinion. But in To All the Boys I’ve Loved Before…it just…worked? This love triangle was a little different, since it started with one-guy-liking-one-girl-who-she-also-liked-but-knows-she-shouldn’t-be-with-so-she-fake-likes-another-guy-and-vice-versa-but-they-end-up-falling-for-one-another-and-hence-love-triangle *out of breath now*. It was neat to see how two characters who didn’t see one another in that way yet slowly grew to have those feelings could cause a massive love triangle. Way to go, Han! The first eight chapters were REALLY slow…like, molasses falling down a tree in Autumn slow. Don’t get me wrong, it was good enough that I stuck through…and I’m glad I did! But I had so many “when do we get to the good stuff” moments that it drove me nutty. Once the letters get out to the world though, the story just speeds along! There IS SOME depth throughout the novel, typically shown during the “momentous quotes” and Lara Jean’s innermost thoughts that only the readers get to see. However, I felt the “depth” and “substance” lacked in other areas of the story; this includes the siblings’ connection with their father, the topic of their mothers’ death, and to the world itself. This is TECHNICALLY not a con though, since this element is what makes the book feel “light” and “easy”. Yes…all you Peter Kavinsky fans will hate me in less than 5 seconds. I’m not saying Peter is a complete and utter douche…but he just REALLY pissed me off at points. He can be really rude to Lara Jean and other characters. In addition, he has little to know growth. Lara Jean makes mistakes in the novel, but she accepts that she was wrong and makes the steps to rectify everything. But Peter just acts like he has done NO wrong. I’m not saying he’s 100% in the wrong, but man…grow up and learn how to apologize for your actions. To All the Boys I’ve Loved Before is an incredibly adorable YA romance novel, full of quirky characters and that “young love” we all aspire to have. The beginning is a little slow, but the story quickly picks up and makes up for the slow start. I also really enjoyed the short chapters, since it made it really easy to leave it off at a part…or to say “only one more chapter”. If you’re seeking a comical-romance with highly relatable characters, I highly recommend this one for you. I read the series last year but I just picked up the first 2 books and I’m so excited to revisit them! I just started!!! I’m a few chapters in and it’s decent so far. I felt very similar to you about this book! Fab review! Great review! I love this book it’s so cute. I’m super glad to find out that I’m not the only person who writes long reviews. Lol!! I always get worried about that… …but I just have too much to say lol! Thank you very much! Great review, Jenna! I love hearing you express your thoughts! I haven’t read the book yet, but recently saw the Netflix adaptation and thought that it was the cutest thing! I’ll have to read the books soon! Thank you love! The film was “meh” but a lot of people really liked it so maybe it’s just me ha-ha! I finally finished the series and I really enjoyed it.